Give the gift of pampering the Christmas. 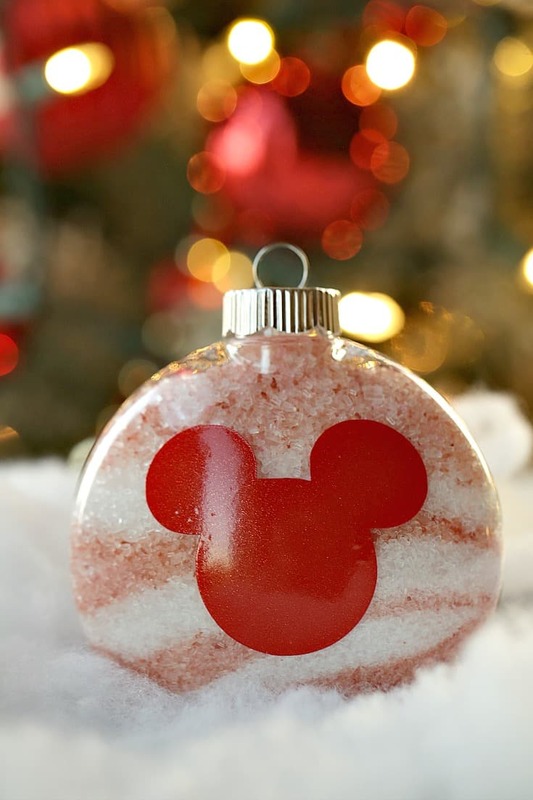 These Disney Bath Salt Ornaments are the perfect self-care gift idea for the Disney fan on your gift list. 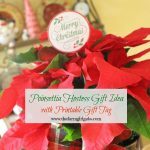 As Christmas quickly approaches each year, I am always in need of a last-minute gift. ALWAYS. It never fails. As much as I check my shopping list, ultimately there is someone I manage to forget. 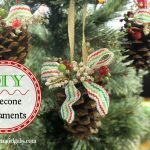 When I am in need of a last-minute gift, creating handmade gifts is a simple solution that I can wrap up with a gift card. We all can use a little pampering from the hustle and bustle of everyday life. 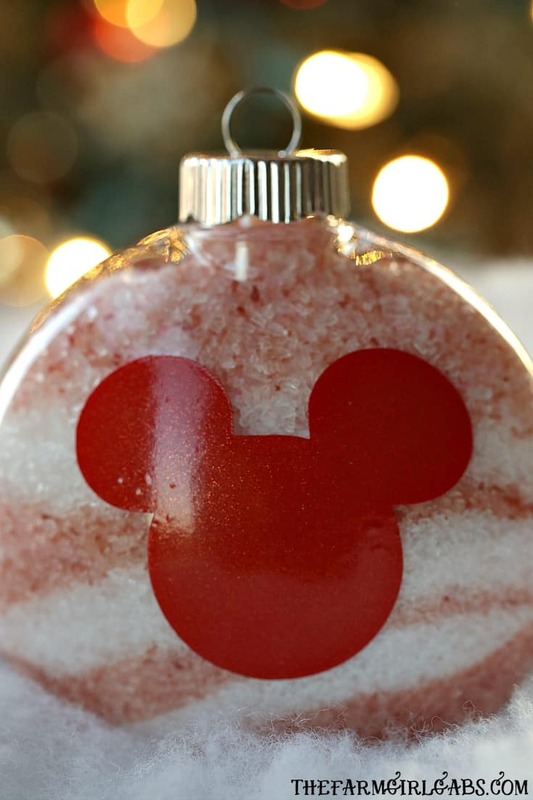 These Disney Bath Salt Ornaments are the perfect pampering gift for the Disney fan. 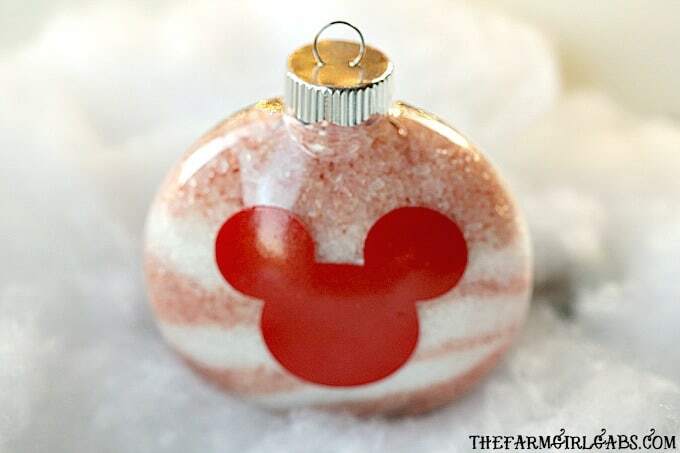 With just a few ingredients needed like Epsom salt and your favorite essential oil , bath salt ornaments are a simple self-care gift you can give. And they don’t have to have a Disney theme. You can purchase plastic fillable ornaments at the craft store. So simple. 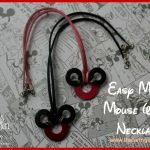 Download the Mickey Mouse pattern and use a Silhouette Machine to cut out onto red glitter vinyl . If you don’t have a silhouette, you can trace the Mickey out by hand and use scissors to cut. Apply decal to the ornament. Mix Epsom salt, baking soda, and sea salt in a bowl. Add 5-10 drops of the peppermint essential oil. Divide mixture in half. Tint half of the bath salt mixture with food coloring or cosmetic grade colorant. Use a small funnel to fill each ornament, alternating between the non-colored and colored bath salts. Give the gift of pampering to your favorite Disney fan. We all deserve a little time to relax and unwind. A nice hot bath filled with these bath salts is a great idea.